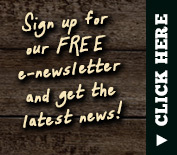 Horse-Drawn Wagon Rides, Corn Maze, U-Pick Pumpkins & Apples, & More! Safety is our number one priority and we adjust our hours, opening, and closing times accordingly for weather events. If there is a chance of rain, or it is misting, we will be open. If it is raining, contact us. If it is only wet, we will be open, but please take this into consideration when planning to visit us and dress accordingly. To maintain a family type atmosphere, we require that our guests be dressed in accordance with the standards set forth here. We reserve the right to refuse admission to anyone who refuses to comply with our dress code standard. We are a family farm - please dress accordingly. Clothing that might offend other guests is not allowed (within certain guidelines). Shirts and shoes must be worn at all times. Laser Pointers - For safety reasons, laser pointers are not allowed. Child Supervision - Children should be supervised by and adult or parent at all attractions at all times. You are visiting a working farm and we recommend that you keep this in mind when dressing yourself and your children. Layered clothing, hats, comfortable sneakers or hiking boots and sun block are all items that you may want to consider during your visit. You may also want to bring spending money for our farm market and concession stand. For your convenience and enjoyment, we have a picnic area available on a first-come, first-serve basis. Patrons are allowed to bring outside food to the farm and enjoy a picnic. Our No Alcoholic Beverages policy applies to picnic baskets, coolers, and our picnic area. Food and drink is available at our concession stand. Pets, even well behaved ones, are NOT allowed entrance to the farm. Service animals are welcome at our farm. All service animals must remain under control and refrain from disturbing our guests, employees, or animals. We've done our best to provide smooth pathways for you to walk on but these pathways can still be uneven or slippery, especially after a rain. All-terrain strollers or wagons for your kids work well. Wheelchairs are welcomed but users may experience difficulties accessing all areas of the farm. Our hayride wagons are wheel chair accessible. If you have any questions about our facilities, please contact us prior to your visit. Cash is preferred but for your convenience, we accept Visa, Master Card, Discover, debit cards, and checks. Group leaders should collect all fees for your group ahead of arrival and have one person pay for the whole group. This will allow for maximum time for your group to enjoy the activities. Children must be accompanied by an adult at all times. See reservation policy for group below. View additional information for groups. Reservations are not necessary but are recommended Fridays through Sundays during our regular fall operating hours. Reservations are required for field trips and group visits during the week (Monday - Thursday) or off-season and are available ONLY to groups of 20 or more. To reserve your spot, contact us or register online. Western Michigan is a wonderful place to visit. See our list of nearby attractions for ideas on places to visit when planning your trip to Fruit Ridge Hayrides. 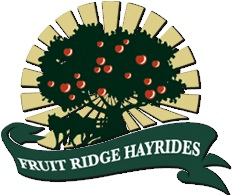 © Fruit Ridge Hayrides. All Rights Reserved.